One of the unpleasant tasks of using old stamps is soaking them off the envelopes. They tend to come off easily and don't lose their postmarks, which is something I used to worry about, but the water goes a nasty grey colour and the thought of how many people must have licked those stamps makes me go ughh. Thank goodness for rubber gloves! Putting that image behind us, I now have a huge box to work with and so I am in making mode. Below is one of recent panels I have made. 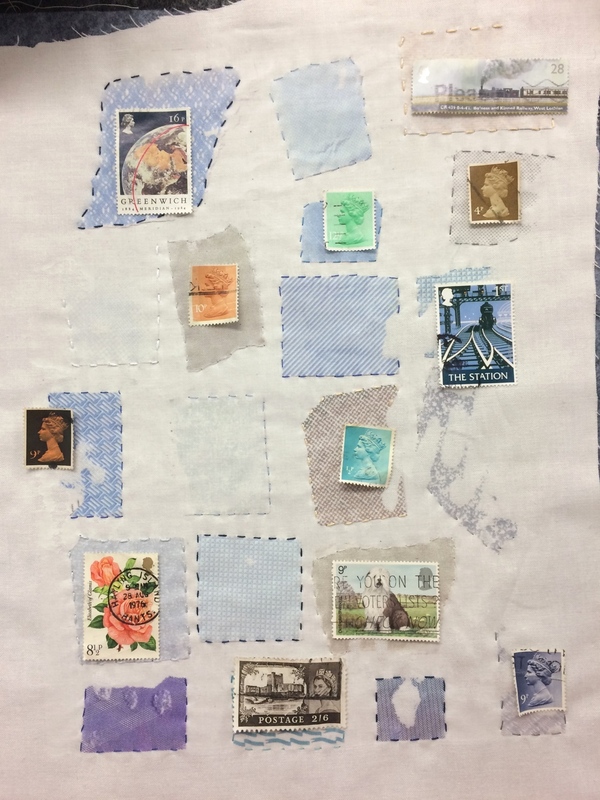 When soaking off the stamps I noticed how great the envelopes were and so kept them. To make this sample I used photo transfer paper to put the pattern onto the fabric then placed it on top of a piece of felt. I hand stitched around each fragment, as you can see in the first photo. I really liked the way it looked at this stage. 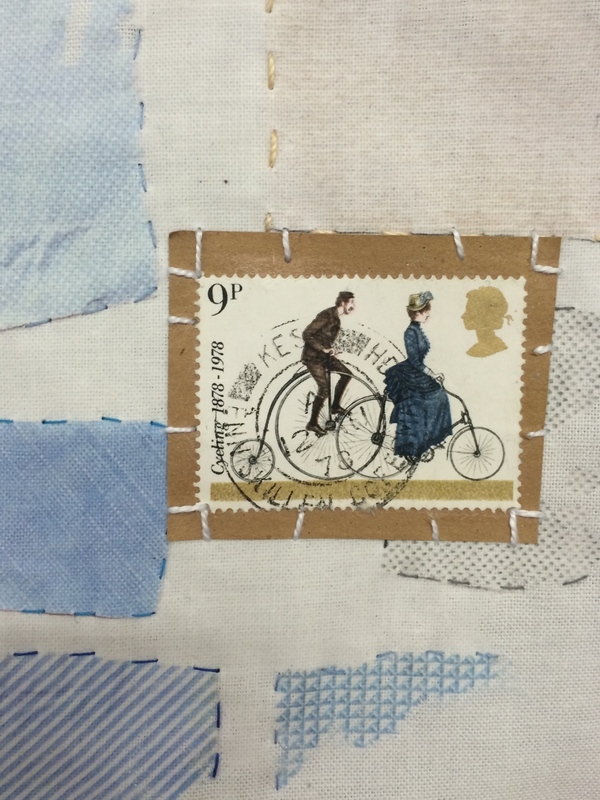 I then placed some stamps on top, trying out different layouts. Once I was happy with the arrangement I hand-stitched them on using a variety of threads.